Soy intake may improve pregnancy outcomes among women undergoing fertility treatments, reports new study. Bisphenol A is no stranger to most people as it has made headlines within recent years due to its use in many baby products and its adverse health outcomes. Bisphenol A or BPA is often used in a variety of consumer goods and its urinary levels are easily detectable in about 90% of the American population. One cause for concern is the role it may play in fertility, especially among women. A type of BPA, aglycone, may mimic the effects of estrogen by binding to estrogen receptors. Its role has been shown to negatively affect fertility in animal studies. However, experimental animal studies have demonstrated that incorporating phytoestrogen dietary components may modify and mitigate the effects of BPA on fertility. Currently, no studies have shown that BPA has any effect on pregnancy or birth outcomes among women undergoing fertility treatments, whereas, soy consumption has been shown to improve live birth outcomes among women undergoing fertility treatments. Therefore, researchers from Harvard University investigated the effects of soy intake on mitigating the effects of BPA and improving birthing outcomes for women undergoing fertility treatments. 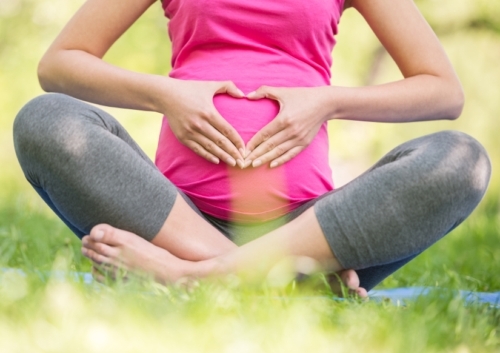 Researchers evaluated environmental and nutritional factors and their role on fertility. The Environmental and Reproductive Health Study, a prospective cohort study, included 239 women between the ages of 18 and 45 undergoing in-vitro fertilization (IVF) treatments. All participants received at least one IVF treatment at the Massachusetts General Hospital Fertility Center between 2007 and 2012. Researchers collected data on soy food consumption by administering food frequency questionnaires. Participants were asked about their intake of fifteen different soy related products including soy meats, soy milk, tempeh, miso soup, and tofu. Participants also provided urine samples that were used to test BPA levels. Findings revealed that the women, who had no soy intake in their diet, also had reduced rates of implantation, clinical pregnancy and live births with increased levels of urinary BPA. However, when evaluating the effects among women who incorporated soy foods into their diet, the results found that the levels of BPA had no effect on implantation, clinical pregnancy or live births. Perhaps the effects of consuming soy products plays a protective role and diminishes any negative consequences of BPA when it comes to birthing outcomes among women undergoing fertility treatments. Researchers’ findings were similar to a couple of experimental animal studies, however, it is the first of its kind associating pregnancy outcomes with soy intake and BPA levels in humans. This relationship needs to be further explored in various human population studies. Further research is warranted on investigating relationships between environmental factors and adverse outcomes and how diet and other lifestyle factors may mitigate these effects. Chavarro, J.E., et al., “Soy intake modifies the relation between urinary Bisphenol A concentrations and pregnancy outcomes among women undergoing assisted reproduction,” Journal of Clinical Endocrinology & Metabolism, 2016; doi/10.1210/jc.2015-3473.